My name is Haley Sousa and I teach Sixth Grade! I actually attended Los Altos from Preschool all the way through sixth grade and loved it so much that I came back! After my time at Los Altos, I went to junior high and high school at Brethren Christian in Huntington Beach. I then continued my education at California Baptist University in Riverside where I received my Bachelor of Arts in Communications and then went on to obtain my teaching credential and Master of Arts in Education from Vanguard University in Costa Mesa. 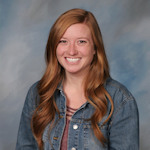 (Editors note: Upon graduation, Haley was a Valedictorian in High School, received the Outstanding Senior Award for highest GPA and involvement from CBU, and received the Teacher Researcher Award from Vanguard). Looking back, I can see what a huge impact Los Altos had on my life. I started my involvement in music at Los Altos by playing flute and played all the way through high school and received multiple scholarships in college. I also started playing basketball at Los Altos, which began a love and involvement in sports from which I gained many teamwork skills. The teachers at Los Altos helped me to gain a strong work ethic and diligence that made me successful through junior high, high school, college, and my extended education. Most importantly, Los Altos helped me to form a strong spiritual foundation to build upon as I grew up. I am very passionate about cultures and love to travel. In college, I had the opportunity to experience Malaysia. I also lived in Italy for six months and studied art, photography, and the Italian language. During that time, I traveled around to many countries near Italy and was able to see a continent rich in history and culture. This helps a lot with some of the ancient cultures we study in sixth grade like Rome and Greece. After college, I went to the small island of Boracay in the Philippines and taught 2nd grade. I went back the summer of 2013 to help those people with a group from Los Altos Grace Church. Most recently, I went on a trip around New England and Eastern Canada, also an area rich in history. I am always looking for more places to enrich my ability to teach about cultures. I believe in shaping students to have respect and love for everyone, values to guide them, and God as their King, who is with them every day. I believe the classroom is a safe place for students to “make mistakes and get messy.” Learning can be difficult and that is okay. The classroom is a place to make mistakes and practice learning before the tests of the real world. Questions are always welcome and thinking critically is always necessary. My classroom is an encouraging environment where students are spurred on to do their best. I believe in the power of prayer and pray for my students by name each and every day. I believe also in the power of example and want to be a role model for my students as a loving servant of the Lord. God is the reason I have anything good in my life and is my total source of motivation and endurance. Everything good comes from Him. To God be the glory. SO WHAT ABOUT 6th GRADE??? Sixth grade is a very special year since it is the culmination of the students’ time at Los Altos. During sixth grade, students have many privileges and opportunities, and responsibilities. They are in charge of raising the flag outside on the flagpole each day; they lead salutes, songs, and prayer during Chapel; they have special devotion times with the administration; they create a yearbook for themselves; they go to Rawhide Ranch; they make decisions for the school such as free dress days, our schools’ special day, our Christmas service project, etc; and they have a special night and ceremony for Graduation. Sixth graders are the leaders of the school and examples to all the students. Since experience is learning, we go on many field trips. Recently, we have gone to the Discovery Science Center, Pompeii Exhibition at the CA Science Center, Crystal Cove, The Sea Trawl, Walk Through the Ancient World, Brethren Junior High Experience, Traveling Science: Magnets, The Getty Villa, The Tabernacle Experience, The Holy Land Exhibition, and more. I want to instill the value of hard work and diligence. We work very hard on our Ancient Culture Report, which is a combination of research writing skills, display, collaboration, and presentation. Learning is a process and takes time, but can also be very exhilarating! It is my goal to prepare the sixth graders for all parts of middle school and beyond. Allowing your student to complete 6th Grade at Los Altos will give your student the opportunity to become a leader, take responsibility, and be fully ready (academically, socially, and spiritually) for school after Los Altos. If you are considering 6th grade at Los Altos, here is a link about research pertaining to elementary school and middle school. Where does sixth grade belong? In my spare time, you may find me traveling, camping, waterskiing, or adventuring. I love photography and I love to see and experience new things! “For we are God’s handiwork, created in Christ Jesus to do good works, which God prepared in advance for us to do.